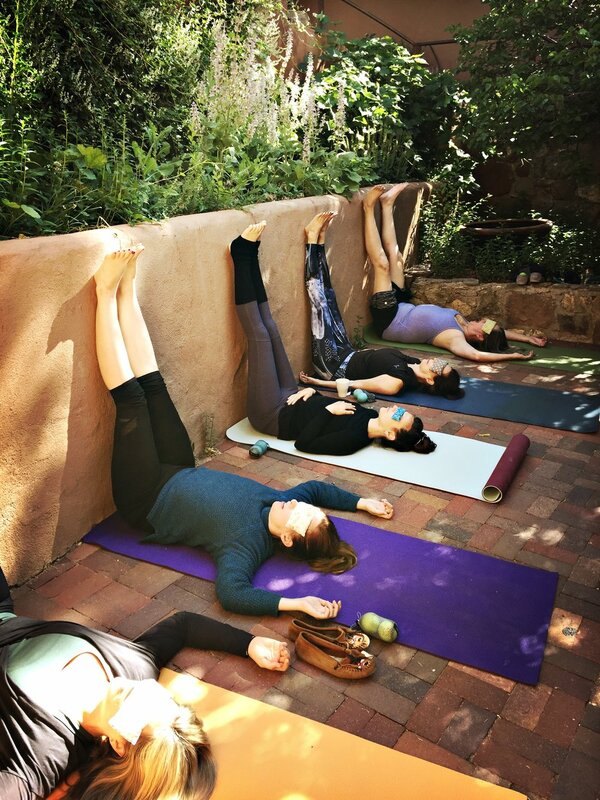 Nurture & Rejuvenate in Santa Fe New Mexico this July: 85° / 55° is the average temp for this time of the year! Think early morning yoga at the retreat house & hiking nearby, afternoons at the spa, and evenings eating at 5 star foodie spots. Thursday we will start off our long weekend with a visit to the Santa Fe Oxygen & Healing Bar to meet up with our entire group for lunch & oxygen. Friday will be spent at Ten Thousand Waves Japanese Spa & Resort & Saturday at Ojo Caliente Mineral Springs Resort & Spa. 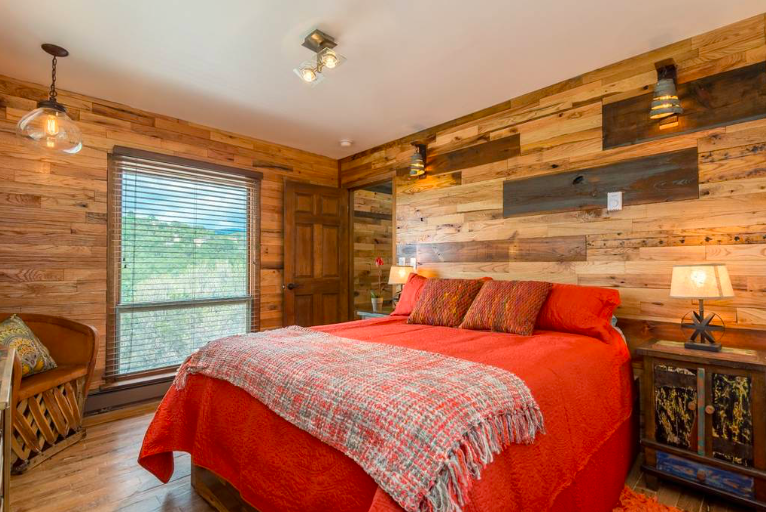 3 Nights Lodging at the Private 4000 sqft “Sky Lodge” - A mountain oasis located minutes from Santa Fe Plaza and literally around the corner from Ten Thousand Waves, Santa Fe's premier Zen Spa. 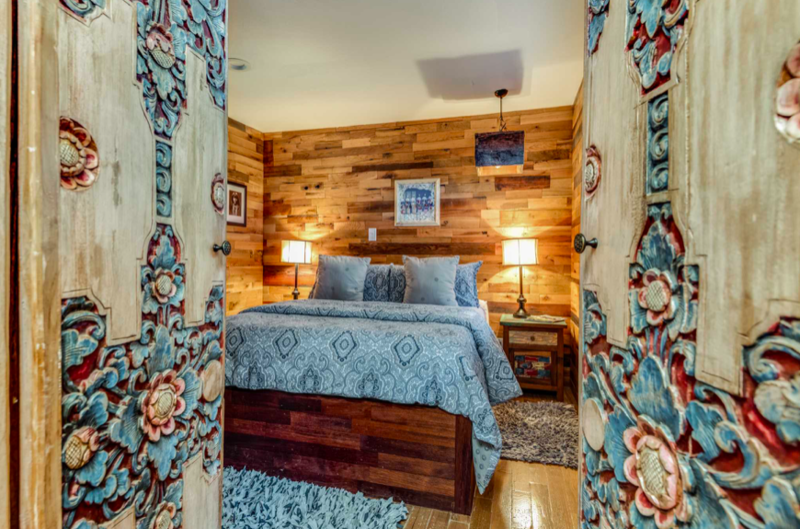 This artist crafted sanctuary sits on two acres of land with epic views & features a 900 sqft Bali Inspired Yoga Room with 20ft tall ceilings and large windows for natural light! 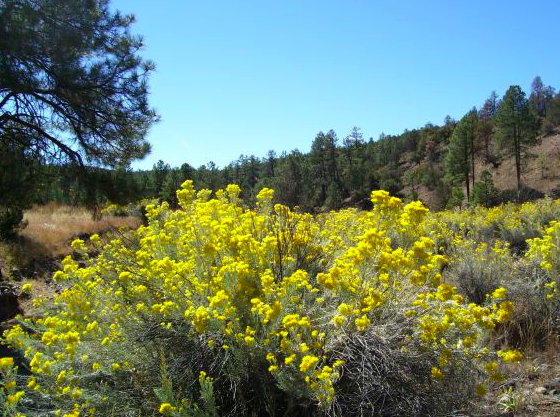 Chamisa Trail - Optional Hikes on Friday & Sunday Morning! Less than 10 min drive from our retreat house. 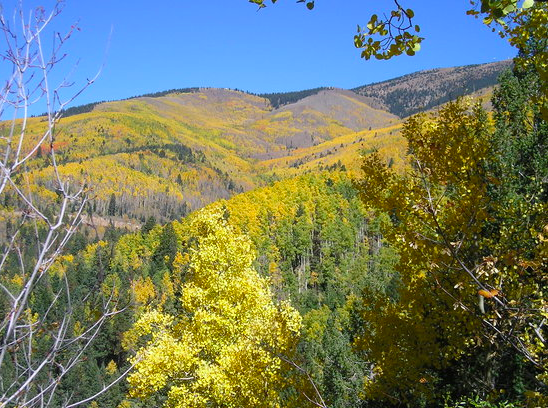 * Optional short easy hikes Saturday morning at the Ojo Caliente trail, or Friday & Sunday morning on the Chamisa or Hyde Park Trails less than 10 min drive from our retreat house! Great (early so we can spend more time in Santa Fe on our first day) flights on Southwest for under $250 roundtrip! A few ladies are already on these two flights arriving in ABQ at 7:55am or 8:07am on Thursday* American Airlines or Southwest. $550 Couch in "Media Room"
Monthly Installments to pay off the remaining balance will start 30 days after your $deposit is paid. Final Balance Policy: Your Final Payment must be received by May 1st, 2019, and all payments after this date are non-refundable. Cancellation Policy: In the event of cancellation, 75% of your entire payment will be refunded less the $500 non-refundable deposit and a $50 processing fee if the cancellation is made before May 1st, 2019. Payments are non-refundable after this date. 12pm-3:00pm Santa Fe Oxygen & Healing Bar for Lunch in Old Town Santa Fe (time for shopping or an hour long visit to Georgia O’keeffe Museum) - good spot to meet the group if you area already in Santa Fe a day or two early before our retreat. 8pm Evening Wine, Tea & Desert to end our night. 1:00-8pm Free Personal Relaxing & SPA TREATMENTS Time. ALSO EAT AT YOUR LEISURE (Lunch & Dinner)! Soak in the communal tubs, spend time in the sauna, book your massages & treatments, rest in the quiet room, eat lunch at Izanami (dinner reservations will be booked on Open table in small groups since Izanami requires $$$ tasting menu for over 6 people. You are also welcome to eat alone earlier in the day if you want to have later treatments). Book your facials and body scrubs later in the day (to be done by 6:30pm) so that you have time to soak in the waters and don't have to wash off any awesome oils that might have been added from a scrub or facial. Singer recommends giving yourself 1 hour to spend soaking in the women’s communal tub and using the dry sauna and cold plunge before your first treatment of the day. It will make your massage even more relaxing. So maybe plan on scheduling your treatments to take place between 3pm-6pm. LUNCH starts at Izanami, Ten Thousand Waves at 12pm. Eat at your leisure, solo or bring another lady with you! You can pop in for lunch whenever you want wearing your robe <— definitely eat lunch or happy hour** this way you can try something special on the menu before dinner. Otherwise there are snacks and sandwiches in the lobby of the spa that you can also purchase. 8:45pm (the latest) Head back to house after dinner. Sleep. 9pm Head back to house. Free Time. Pack your bags. Sleep. 3:00pm-4:00pm Drive back to ABQ Airport (arrive by 4:15pm to drop off rental car) with Singer in our group van for flights that depart around 6:30pm or later. (Singer's flight departs at 7pm). FRIDAY: Full afternoon to spend in the communal HOT TUBS and SAUNAS at Ten Thousand Waves Japanese Spa 1:00pm-8:00pm (purchase a spa treatment & entry is free, otherwise its $26) - 10 minutes from Retreat House. We will EAT LUNCH & DINNER at the Spa Restaurant - Izanami (lunch & dinner at your leisure). SATURDAY: Full afternoon to spend in the MINERAL POOLS, MUD POOL, STEAM ROOM AND SAUNA at Ojo Caliente Spa 12:30pm-6:00pm ($40 full day entry fee into the mineral springs, not included in cost) - 1 Hour Drive from Retreat House. Saturday we will spend a full day at Ojo Caliente Spa relaxing, getting spa treatments & hiking in the morning. For group transport you must arrive at the Albuquerque airport by 9am or 10:30am on Thursday to catch the GROUP ride with Singer* or you can meet us at the Santa Fe Oxygen Bar (our first stop for Oxygen & Dinner before headed to the Retreat House). MORE TRANSPORTATION DETAILS AT BOTTON OF THIS PAGE. If you are arriving later in the day you are welcome to take a Sandia Shuttle (cost not included) into Santa Fe to meet us at the Oxygen Bar. This is a SMOKE FREE retreat. Smoking is not allowed on the retreat house property or inside. All participants must be 23 years or older. 18-23 years old will be allowed if accompanied by a parent. * All times listed are subject to change slightly as we get closer to the retreat dates. Plan to bring your own YOGA MAT. If your flight arrives in ABQ after 9am, we can pick you up from the airport after Singer and earlier group has eaten breakfast in town* If you are arriving after 11am you will need to take the train or a shuttle to transport yourself to Santa Fe from the airport to meet us in Downtown Santa Fe by 3pm. You are also welcome to get an UBER to taxi to bring you to our retreat house if you are arriving later in the evening. If you are arriving earlier or much later in the day you are welcome to take a Sandia Shuttle (Around $30 - cost not included) into Santa Fe and then an Uber to the retreat house. Current flights, by confirmed participants, are arriving on Thursday are at 8am & 9am so we can get to Santa Fe by 11am-12pm (if there is time, we will eat breakfast in Albuquerque before the drive). Current flights departing on Sunday are at 6:25pm & 7pm so we can end our afternoon in Santa Fe without rushing to the airport in ABQ. Public Shuttles from Santa Fe to ABQ are available for around $30 one way and there are multiple shuttle locations in town.